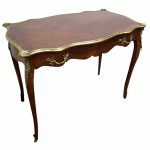 Circa late 1900s, Regency style mahogany music stand. 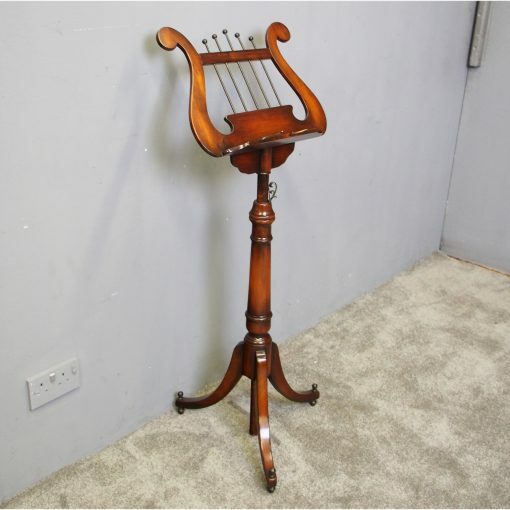 The mahogany and brass lyre-shaped back and music ledge have brass fittings and sit on an adjustable stem. 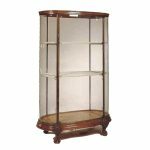 This is all over a ring turned tapering base, which leads on to tripod cabriole supports with brass mounts and small brass feet.